Twenty years have passed since Robbie Fowler brandished his backside and goaded Graeme Le Saux in perhaps the most homophobic gesture ever to take place on a football pitch. English football has come a long way since the uber-machismo drinking culture which was ubiquitous in the late 1980s, but there is still progress to be made. We have eked towards a progressive society where gay people can feel more comfortable opening up about their sexuality, and the time has come for football, as a reflection of society, to echo that environment. England is a country with over 4,000 professional players; 500 playing for teams in the Premier League. When you consider that two percent of the UK male population identify as gay, it is quite shocking that there has only been one high-profile footballer who has ever come out during his playing career. It still feels odd to juxtapose Graeme Le Saux’s name with homophobia in English football. After all, Le Saux is a heterosexual man with a wife and two children. The vitriol he was forced to endure was the result of an immature training ground jibe, which snowballed into a disparaging nationwide rumour, shouted from the terraces for over a decade. Le Saux became the target for these homophobic taunts because he didn’t fit the mould of your “typical” footballer. In his own words, he became the unofficial non-gay, gay spokesperson for the sport. Although Le Saux didn’t need his forcefully appointed ambassadorial role in football, it has become clear that football did indeed need him. Le Saux was far from what footballers regarded as typical. 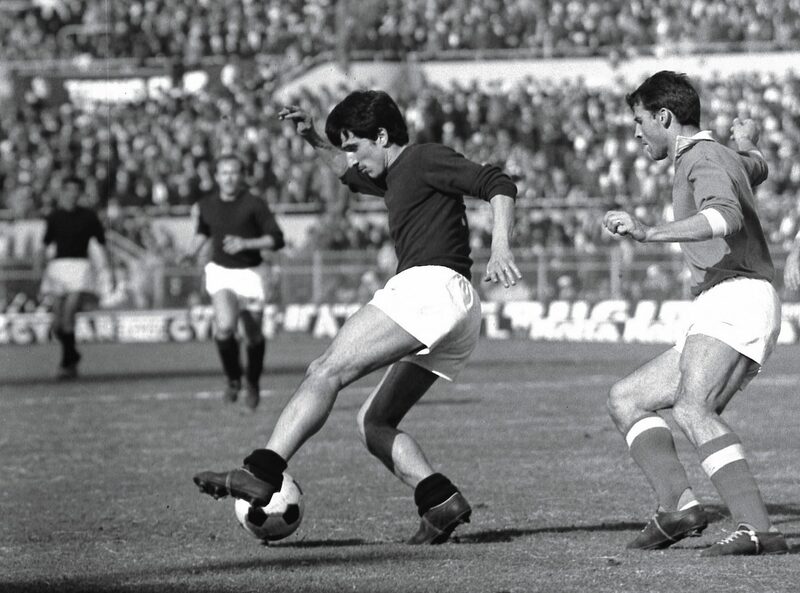 In essence he was a footballer born a generation too soon, in both his playing style and his persona. In 1990s London, Le Saux mostly palled around with students, and modelled the quintessential student look of the time: he would arrive at training fashioning Pringle socks, jeans rolled up, and a copy of The Guardian poking out of his bag (as opposed to The Sun or The Daily Sport). Le Saux had also been known to visit the odd antique fair or art gallery on weekends; a far cry from the prevalent footballer hangouts of the time, which often took the form of snooker halls, bookmakers or the pub. Le Saux grew up in Jersey, the largest of the Channel Islands, and never had an issue with bullying until his arrival at Chelsea. The rumour about his sexuality ignited with one childish training ground remark. It was something which should have been nipped in the bud immediately; never allowed to leave the confines of the Chelsea dressing room. Le Saux had just turned 22 and broken into the first team. That summer, in 1991, he had gone on a trip with teammate Ken Monkou to Jersey and up through France, Belgium and the Netherlands. 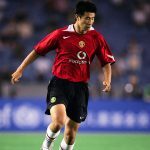 Upon returning for pre-season, the players asked each other about their holidays, and one of them (Le Saux can’t recall who) asked: “Oh, you went camping with Ken, did you?” Le Saux admits he should have laughed it off, but instead got defensive and the rest of the dressing room pounced like hyenas in an act of “laddish” banter. No one inside the Chelsea dressing room believed for one second that he was gay. However, he became the target for the day-to-day ribbing from his teammates. At one point, the ridicule and torment grew so constant and intolerable that Le Saux actually considered packing in his football career. What a shame that would’ve been. England fans will fondly remember his deft chest control and arrow-like volley from 30 yards to put the Three Lions in front of World Cup winners Brazil in the 1995 Umbro Cup. It was Le Saux’s only goal for England but one that will be cemented in history – a goal reminiscent of the striking capabilities of his Brazilian counterpart that day, Roberto Carlos. Unfortunately for Le Saux, eight weeks after the initial “camping with Ken” gag, his worst nightmare had become a reality. On 7 September 1991, Chelsea travelled to Upton Park. Le Saux picked up the ball on the left wing and lofted the ball upfield. That’s when he heard it: “Le Saux takes it up the arse,” erupting from the West Ham fans in the North Bank to the tune of The Village People’s Go West. The training ground jibe had made it out of the dressing room and into the public domain. Le Saux worried that opposition fans up and down the country would make his life a living hell. The left-back found himself in a precarious predicament. He was not gay and has said he would have no issue with a gay player in his dressing room, but became understandably upset at the being derisively labelled as a homosexual. As a result, there was something odd about having to repeatedly deny the accusations without offending or disrespecting the gay community. He wondered if being falsely labelled gay could even be defamatory, due to the potentially hazardous implications on his professional career. Precedent has told us that some coaches would avidly reject the signing of a player they knew he was gay, as would a rather sizeable portion of supporters at that time, as surveys illustrated. He was caught in a strange and extremely public catch-22 scenario. It is significant to note that one year previously, Justin Fashanu – who remains the only high-profile player to come out as gay during his career – opened up about his sexuality. 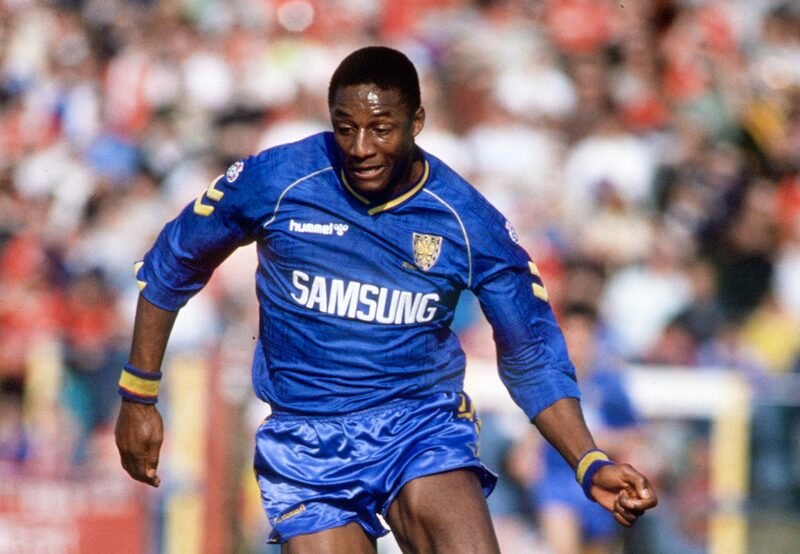 Fashanu, Britain’s first million-pound black player, was at the tail end of his career at the time, and his brother John, who was playing for Wimbledon, paid him £75,000 in an attempt to keep him quiet. Justin took his brother’s money and ignored his advice. He agreed to an exclusive with The Sun, and on 22 October 1990 the tabloid ran the headline “£1m Football Star: I AM GAY.” Sadly he was scorned for it. It was only in a November 2017 interview with The Mirror that John Fashanu opened up about the incident: “I gave him the money because I didn’t want the embarrassment for me or my family. Had he come out now, it would be a different ball game. There wouldn’t be an issue, but that was then. Things are different now. Now he’d be hailed a hero … you’ve got to remember the public’s perception of homosexuality at that time was that it was an abomination. It was taboo. Street boys were beating up gays in nightclubs. Nottingham Forest had paid the said million to acquire Fashanu’s services from Norwich in 1981. He was a smart, athletic and young attacking talent who netted 35 times in 90 outings for the Canaries. Forrest manager Brian Clough, perhaps a product of his time, banned Fashanu from training with the first team when he discovered that he was gay. As poignant as it sounds, it is not difficult to understand why John didn’t want his brother to come out publicly. The abuse that the brothers received both on and off the pitch was both appalling and relentless. The linesman was trembling feet away from the incident, and the crowd were losing their minds. Le Saux, whose newborn daughter was in the stands with his wife for the first time, was understandably outraged and refused to take the free-kick until Fowler stopped. A stand-off ensued. Amazingly, Le Saux was booked for time-wasting. The press had a field day, with the image of the two donning the front pages of the country’s national newspapers. One tabloid even stooped so low as to juxtapose the image with a photo of Le Saux and his wife on their wedding day. Everything had come to a head for Le Saux, and it seemed like the world was against him. He was getting no support from his teammates, the fans or the officials. Moments later, he attempted to exact revenge and swung an elbow at Fowler, striking him in the back of the head as he crumbled to the ground. He managed to stay on the pitch, but Le Saux’s head was gone. The England colleagues engaged in a few more tussles before Le Saux was taken out of the game by Chelsea coach Gianluca Vialli. Le Saux demanded an explanation from the officials after the game but they were unwilling to engage with him. Three days after the game, the FA charged Fowler and Le Saux with misconduct. Both players were called up to represent the international side in the coming weeks. Kevin Keegan tried to get the pair to resolve the issue, but Fowler offered no apology of substance and the saga dragged on. Five weeks later, Fowler made headlines again for pretending to snort the white lines on the pitch at Anfield during a theatrical goal celebration in the Merseyside derby. The following week, Le Saux and Fowler attended separate FA disciplinary hearings. Le Saux was issued with a one-match ban and a £5,000 fine. Fowler received a two-match ban for taunting Le Saux and a four-match ban for his snorting goal celebration. One has to question the moral code of the FA here. They punished Fowler far more severely for poking fun at rumours circulating about him snorting cocaine than for his blatant attempt to publicly humiliate Le Saux and essentially encourage homophobia. One would hope the irony was not lost on them. However, progress has been made since then and Le Saux’s stance has changed. It would take a highly courageous individual to come out on his own. Whisperings of a group of players coming out simultaneously have been circulating recently, which would perhaps ease the pressure, with no one man having to own the burden of the spotlight. In January 2014, Germany international and former Aston Villa midfielder Thomas Hitzlsperger came out as gay, after he hung up his boots as a professional footballer. He waited until his retirement to lift the lid on his sexuality because he wanted to focus on becoming the best football player he could without distraction. His announcement was greeted with an overwhelming wave of support, and he is hoping his actions will help spark a movement and help gay footballers come out. At the moment, England’s only openly gay player is Liam Davis of non-league Cleethorpes Town. Davis was accidentally outed by a local paper after it reported on a series of his supportive tweets in response to Hitzlsperger’s announcement. Large strides have been made to kick the cancers of discrimination and racism out of football, but an intolerable minority do still exist. The Premier League has a responsibility to provide a safe space for gay players to come out and set an example for other leagues to do the same. Kick It Out has done great work in taking a zero-tolerance approach to racism in the past 25 years, and Football v Homophobia and Stonewall’s Rainbow Laces campaign are aiming to replicate its success against homophobia. The Premier League partnered with Stonewall’s Rainbow Laces campaign last year and focuses on promoting acceptance of lesbian, gay, bisexual and trans (LGBT) footballers, with professional and non-league clubs donning rainbow coloured laces. Arsenal, Manchester United and Chelsea were among the big clubs who experienced a spate of homophobic abuse on social media after endorsing the campaign to raise LGBT inclusivity in sports. The overwhelming reaction serves as a reminder of the importance of the issue. These people should be kicked out of the game. In a 2016 column for The Guardian, Le Saux pointed to a BBC Radio 5 live survey on homophobia in football. Ninety-two percent of supporters surveyed were said to have no issues if their club signed a gay player, however, a rather sizeable eight percent of fans said they would stop watching their team altogether. Progress has been made but the evidence shows there is still work to be done. The survey came a week after FA chairman Greg Clarke was criticised for warning gay players against coming out as they would receive “significant abuse.” “I’m cautious of encouraging people to come out until we do our part of the bargain and stamp out abuse,” Clarke said at the government’s governance of football inquiry in 2016. “I am personally ashamed they don’t feel safe to come out … I would be amazed if we haven’t got any gay players in the Premier League. While the FA can be criticised for not doing enough to previously to combat homophobia, it should look to emulate the successful hard-line stance taken by the English Rugby Union (RFU). In November 2014, gay referee Nigel Owens was verbally abused by two rugby “supporters” while officiating an international match between England and Wales at Twickenham. The English Rugby Union (RFU) banned the two men and ordered each to pay £1,000 to a charity of Owens’ choice. Brighton actively enforce a similar zero-tolerance policy against discrimination and encourage fans to report anyone involved in abusive behaviour. At Brighton Magistrates’ Court, a 20-year-old Chelsea fan was banned from attending football matches for three years and fined £965 after admitting to a charge of using threatening, abusive or insulting words or behaviour to cause harassment during Chelsea’s 2-1 win at the Amex Stadium on December 2018. This level of zero tolerance is required by all football clubs in order to kick discrimination, in all its forms, out of the game for good. Le Saux admits to feeling a great surge of relief when he retired. His extraordinary mental strength and self-control, albeit with a few minor blips, may help pave the way for future gay players to come out. It would be a crime not to conclude with Le Saux’s contribution to football on the pitch, which includes a glittering 16 year-career, a Premier League medal, 36 international caps and that goal for England. 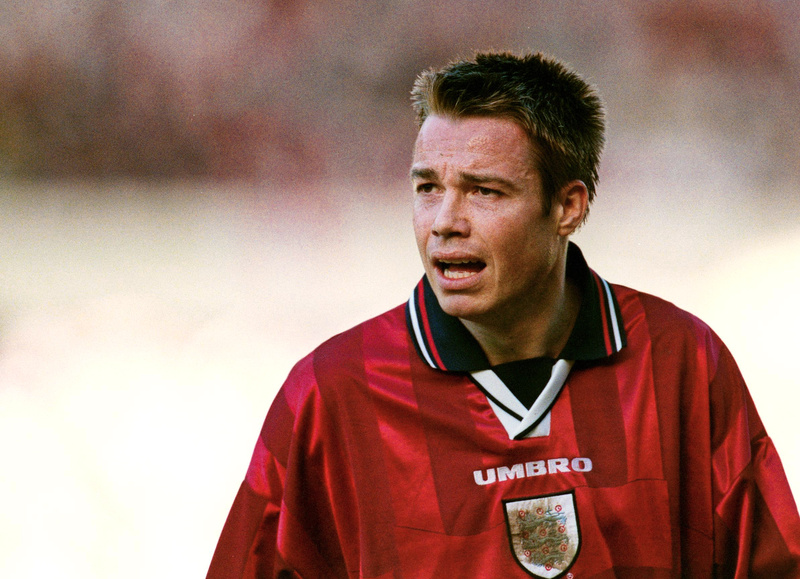 In more ways than one, Graeme Le Saux truly was a footballer apart.